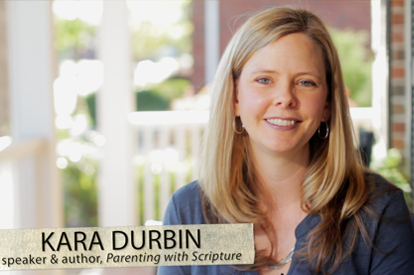 Parenting with Scripture is an easy to use topical resources that parents of toddlers through teens can rely on when teachable moments arise. 101 alphabetically arranged topics address behavior, attitude, emotions, and actions. 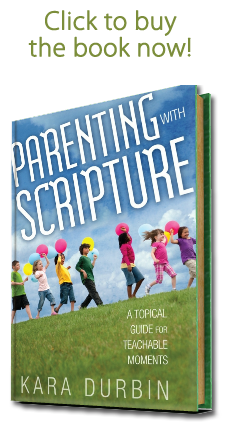 Each 2 page topic includes topical Scriptures, discussion questions, take action ideas, and parenting tips. What are teachable moments? Kara Durbin discusses the term teachable moments and provides examples and suggestions for creating your own teachable moments. Kara Durbin walks through a sample topic, discussing the layout of the book and how the topics are organized. She also provides ideas for how to use the book with teachable moments. 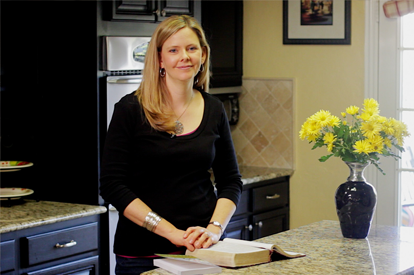 View one of the 101 topics to get a feel for the book. Each topic is only two pages long in order to keep the resource quick and easy to use any time a teachable moment arises… Or, when you want to create a teachable moment!